With his thick Scottish accent and penchant for telling it like it is, Professor Mark Blyth can bring intensity and excitement to even the driest political and economic topics. For evidence, just watch a 2010 video where he cuts through the confusion to insightfully (and entertainingly) lay out why proposed post-recession cuts to government spending would be a mistake. The clip was covered on the Huffington Post and NPR and has a combined 60,000 views on Youtube, which is impressive for a topic – austerity – that many in the U.S. have never even heard of. As a professor of international political economy at Brown University, Blyth brings together approaches from political science, economics, and sociology to study how political ideas, parties, and institutions evolve. He’s even turned the lens on academia itself, exploring how his discipline, political science, has changed over time. Since the recent recession and financial crisis, Blyth has become increasingly involved in commenting on the politics of global financial system in outlets from the Financial Times to Foreign Affairs. Tell us about the two books you are working on. What are they about? 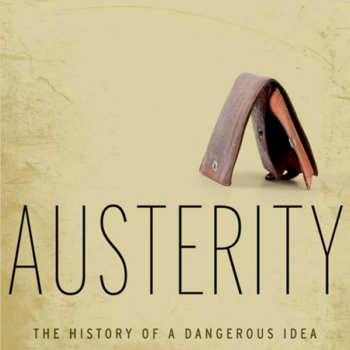 The first one, due out early next year, is called Austerity: The History of a Dangerous Idea. I was approached by Oxford University Press to write a book on the politics of austerity – the ‘policy du jour’ after the US financial crisis… Basically, the book is ‘one stop shopping’ for anyone who wants to know how a pile of stinky US mortgages ended up creating a sovereign debt crisis in Europe; why the response to this, fiscal austerity, is superbly wrongheaded; why anyone ever thought this was a good idea; and why the majority of wage earning ordinary people are being asked to pay for the mistakes of a tiny global elite playing casino games while using the public purse as insurance. The second book is much more academic. Its called Schumpeter’s Paradox. Joseph Schumpeter was an Austrian economist who wrote during the 1930s. He is famous in the main for a single idea, that the genius of capitalism is the process of creative destruction that underpins it. Creative destruction refers to processes of innovation that make current methods of work obsolete. While this is destructive, it is creative insofar as that old way of doing things is replaced by a new way that is more efficient and gives us more with less. As such, government intervention into markets to avoid downturns and mitigate such forces may be detrimental to raising our standard of living. I think that this is a reasonable argument when applied to that part of the economy where you can make things you can drop on your foot. But what about finance? When you factor in all the costs of the continuing crisis you can get as high as $13 trillion. Perhaps then we have reached the point of Schumpeter’s Paradox? What happens when the rate of destructive creation in the financial sector outpaces the forces of creative destruction in the real sector? We may have just reached that point. The book tries to evaluate the evidence and answer this question. 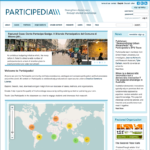 You’re a Fellow at Brown’s Watson Institute, an interdisciplinary center focused on international issues, and your own research draws on political science, economics, sociology, and other fields. 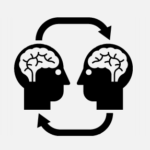 Why do you find yourself drawn to interdisciplinary efforts? Disciplines are a bad thing in my opinion. They create over-specialization, hierarchy, fiefdoms, and intellectual narrowness. Disciplines ‘discipline’ minds into not asking questions. In my primary field of political science it has reached the point of absurdity. The field in the US is divided into American Politics, Comparative Politics, International Relations and Political Theory. The whole thing is a function of a cold war politics that saw the US as the end point on a telos of modernity with other countries being laid upon that telos comparatively to see how close they were to the US ideal… Quite why this field structure still exists 20 years after the cold war ended is beyond me. Consider one of the two books I just mentioned. Austerity engages classical economy theory in the writings of Smith, Hume and Ricardo, modern macroeconomics, financial theory, the politics of inequality, and a host of other issues. How can that book be written by reference to one narrow segment of the literature of one narrow field? It can’t. So I am interdisciplinary by necessity as well as by design. How do you think new communications technologies facilitated by the Internet are going to change your field or academia more broadly? I did a six minute video called Austerity in 2010 and it has created more interest in my work that all my published articles combined. This technology is a game changer. If you can harness the technology, it has a massive impact. But doing so is not easy if you want to stay within established disciplinary lines. If you want to get tenure, you get points for getting articles no one reads into journals no one buys. You do not get tenure for blogging on a site that reaches a million people or getting a piece into a publication read by millions. I think that this is changing, albeit slowly. More academics are blogging and as the role (and cost) of the university as a public institution becomes more of a political football (as it surely will with costs being absurdly high), public outreach and impact will become incentivized much more. One way to hit that marker is to harness the power of web technology. Given everything you’ve learned in the course of your work, if you could communicate two things to the American public or American leaders, what would they be? To the American public: You get what you pay for and you don’t pay enough for what you get. You want roads, schools, a huge military, generous pensions, comprehensive health care and tax cuts. Stop being fiscal teenagers. You cannot get it all and it’s not free. The US federal government spends more or less 25 percent of GDP but taxes 17 percent of GDP. The rest is the deficit and the long run consequence of this is the growing national debt. The public says it wants cuts, but when asked what to cut they say ‘welfare,’ which if healthcare is excluded, is about 3 percent of the federal budget. If you want pensions, health care and all the rest you have to pay for it… The US is one of the lowest taxed societies in the world yet in 2010 I paid more tax than GE. How on earth can that be right? To American Leaders: Stop pandering and lead. Tell the truth. The public cannot have it all unless they are willing to pay for it. Stop cutting taxes when you don’t have enough revenues. If you are not wiling to do that then really cut stuff and you will find that the public will want it all back. So explain to them the fiscal reality and stop patronizing them with promises someone else will have to pay for. 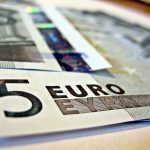 Is A Euro Collapse On Its Way? 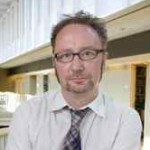 Mark Blyth is a political economist whose research focuses upon how uncertainty and randomness impact complex systems, particularly economic systems, and why people continue to believe misguided economic ideas despite evidence to the contrary. He is the Eastman Professor of Political Economy, a Professor of Political Science and International and Public Affairs, and a faculty fellow at the Watson Institute for International Studies at Brown University. Dr. Blyth is the author of several books including Austerity: The History of a Dangerous Idea and The Future of the Euro (with Matthias Matthijs). He received his Ph.D. in Political Science from Columbia University and previously taught at the Johns Hopkins University.